For PCs, a new lease on life. There are some interesting results being reported so far this year in the world of “screens.” While smartphones and tablets have seen lackluster growth — even a plateauing or a decline of sales — PCs have charted their strongest growth in years. In fact, Microsoft and Intel Corporation have been the brightest stars among the large-cap tech firms so far this year. Intel’s PC chip division’s sales are up ~16% year-over-year and now exceed $10 billion. The division of Microsoft that includes licensing from its Windows® operating system plus sales of computer devices reports revenues up ~15% as well, nearing $11 billion. The robust performance of PCs is a turnaround from the past five years or so. PC sales actually declined after 2011, which was the year when PC unit sales had achieved their highest-ever figure (~367 million). 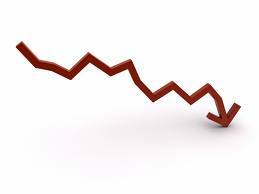 Even now, PC unit sales are down by roughly 30% from that peak figure. But after experiencing notable growth at the expense of PCs, tablet devices such as Apple’s iPad and various Android products have proven to be unreservedly solid replacements for PCs only at the bottom end of the scale — for people who use them mainly for tasks like media consumption and managing e-mail. For other users — including most of the corporate world that runs on Windows® — tablets and smartphones can’t replace a PC for numerous tasks. 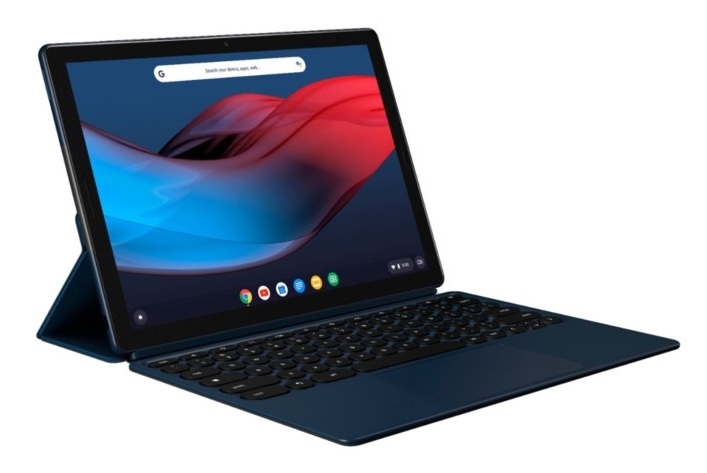 But what’s also contributing to the return of robust PC sales are so-called “ultra-mobile” devices — thin, lightweight laptops that provide the convenience of tablets with all of the functionality of a PC. Those top-of-the-line models are growing at double-digit rates and are expected to continue to outstrip rates of growth in other screen segments including smartphones, tablets, and conventional-design PCs. On top of this, the continuing adoption of Windows 10 by companies who will soon be facing the end of extended support by Microsoft for the Windows 7 platform (happening in early 2020) promises to contribute to heightened PC sales in 2019 and 2020 as well. All of this good news is being reflected in the share prices of Intel and Microsoft stock; those shares have gone up following their most recent earnings reports, whereas all of the other biggies in the information tech sector — including Alphabet, Amazon, Apple, Facebook, IBM, Netflix and Texas Instruments — are down. What’s behind Microsoft’s $26 billion purchase of LinkedIn? At first blush, it appears almost ludicrous that Microsoft Corporation is offering an eye-popping $26 billion+ to acquire LinkedIn Corporation. The dollar figure far eclipses any previous Microsoft acquisition — including the $9 billion+ it paid for Nokia Corporation in 2014, not to mention what the company paid for Yammer and Skype. What’s also acknowledged is that none of those earlier acquisitions did all that much to further Microsoft’s digital and social credentials — and in the case of Nokia, the financial write-downs Microsoft has recorded have actually exceeded Nokia’s purchase price. So what’s different about LinkedIn — and why does Microsoft feel that the synergies will work to its advantage better this time? In a recent Wall Street Journal column, technology journalist Christopher Mims noted that such synergies do exist — and in a much bigger way. That includes Microsoft Office, the productivity suite that’s now delivered almost exclusively online. And then there’s LinkedIn’s database of over 400 million subscriber professionals. Put those two elements together with a strong strategic vision, and you have the potential for some pretty amazing synergies. Acting on its own, LinkedIn hasn’t been all that successful in leveraging what is arguably the most comprehensive and powerful database of business professionals ever compiled in the history of mankind. While it consists of self-contributed information that hasn’t been “vetted” by outside parties, it’s still the single most comprehensive and valuable repository of information about business professionals — anywhere in the world. I view the dynamics of LinkedIn as something like the Wikipedia. Wikipedia has become so pervasive, it has driven traditional encyclopedias from the scene. And while we all know that there can be misstatements of fact — or omissions of facts — from Wikipedia entries, it’s also become the quickest and easiest place to go for information that’s “accurate enough and complete enough” for most any type of informational query. In similar fashion, LinkedIn is making personnel databases like Dun & Bradstreet that are less robust and accessible only by subscription increasingly obsolete. And yet … with all of this powerful data at its fingertips, up to now LinkedIn hasn’t been all that effective in leveraging its vast trove of data in way that goes much beyond using it as a personnel recruitment tool. Try as LinkedIn might to create “stickiness” by offering communities of users based on job function, shared industry involvement and the like, to this day only about one-fourth of LinkedIn’s ~400 million users come to the site on a monthly basis. The reality is that the vast majority of people continue to access LinkedIn only when they’re in the job market — either as a seeker of talent or seeking a new position for themselves. In the wake of the pending Microsoft acquisition, those dynamics could change quickly — and in a big way. 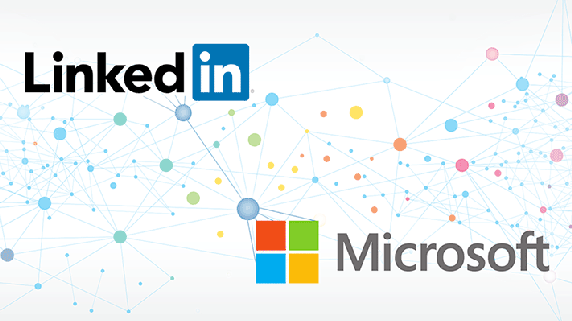 One way is in how LinkedIn could begin to provide a big boost to Microsoft’s CRM services. Many companies use such products to identify and track sales leads; in fact, having such a tool is almost a prerequisite for any successful business of any size at all. As of today, Microsoft languishes behind three other CRM software providers (Salesforce.com, SAP and Oracle). LinkedIn’s own product (LinkedIn Sales Navigator) is essentially an also-ran in the category. But bringing together LinkedIn’s extensive personnel database with Microsoft’s CRM capabilities looks to deliver data and reach that would be the envy of anyone in the market. Does the acquisition business potential match with the $26 billion+ Microsoft is paying for the buying LinkedIn? Will Microsoft do a better job of integrating LinkedIn with its other products and services when compared to the disappointing results resulting from its other acquisitions? We’ll need to check back over the coming months to see how things are come together. 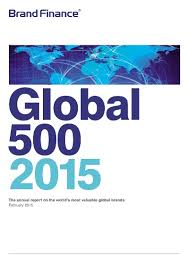 World brands: Who’s up … Who’s down? Each year, the brand valuation consulting firm Brand Finance produces a report on the strength of the world’s Top 500 brands. It’s an interesting study in that Brand Finance calculates the values of brands using the so-called “royalty relief” approach – calculating a royalty rate that would be charged for the use of the brand name if it weren’t already owned by the company. Of these, all but China Mobile were in the Top 10 listing in Brand Finance’s 2014 rankings. Of the others, all maintained their rank except for AT&T and Amazon, which rose, and GE and Walmart, which fell. As for which brand’s value is growing the fastest, top honors goes to … Twitter? That is correct: According to Brand Finance, Twitter’s value has mushroomed from $1.5 billion in early 2014 to nearly $4.5 billion now. Other social platform firms that have experienced big growth are Facebook (up nearly 150%) and the Chinese-based Baidu (up over 160%). What about in non-tech or social media sectors? There, Chipotle racked up the biggest growth in brand value: nearly 125%. At the other end of the scale, the McDonald’s brand has lost about $4 billion in value over the past year. In addition to its brand value analysis, Brand Finance also publishes a ranking of most powerful brands based on its “brand strength index” (BSI). This index focuses on factors more easily influenced by marketing and brand management activities — namely, marketing investment and brand equity/goodwill. According to Brand Finance, Lego’s brand power stems from it being a “creative, hands-on toy that encourages creativity in kids and nostalgia in their parents, resulting in a strong cross-generational appeal.” Lego also has a big consumer marketing presence, thanks to its brand activities in film, TV and comics. Last year’s top brand was Ferrari, which has now slipped in the rankings. Brand Finance cited the brand’s 1990s-era “sheen of glory” as wearing a bit thin 20 years on. For more details on these brands and other aspects of the 2015 evaluation, you can review Brand Finance’s 2015 report here. Do any of the results come as a surprise to you? Please share your observations with other readers as to why certain specific brands are coming on strong while others may be fading. Spotify hits the spot in its business valuation: $5.3 billion. There’s no question that Spotify has been an up-and-comer in the music streaming business. Speaking anecdotally, over time more and more of my friends and family members have been signing up for the service. And now, Spotify is pushing forward with an even more aggressive growth strategy … and it’s not aiming low at all. In fact, the company is seeking backers at an eye-popping valuation level of $5.3 billion. And to top it off, the company’s co-founders (Daniel Ek and Martin Lorentzon) intend to raise the funds not through equity investment, but through loans. It seems neither person wishes to give up any more of the company to investors than has already happened. What makes the $5.3 billion valuation so startling is not just the amount – big though it is. It’s because that the last business valuation of Spotify, done less than 12 months ago, pegged the company’s value at just $3 billion. That time around, a number of institutional investors stepped up to the plate (including Coca Cola, Fidelity and Goldman Sachs). But don’t look for more institutional investment in this round of funding. In the case of Spotify, being second or third in the music streaming market segment has turned out to be a good thing. Pandora and others were the pioneers, laboring in the vineyards for many long years before proving out the business model. Then along comes Spotify and cleans up in a market space that people now understand fully. At the moment, Spotify has around 6 million paying users in 28 countries — along with several times that number of people who use Spotify’s free, ad-funded services. Spotify streams music across desktops and mobile devices along with other music gear. The company reports that it pays approximately 70% of total revenues back to music rights-holders. It’s not profitable yet … but how many years was Pandora bleeding red ink? The better part of a decade, certainly. There continues to be some low-level grumbling about how Spotify handles payouts to the “bigger name” performers in the music industry. 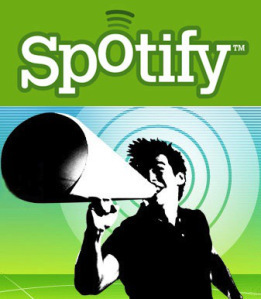 According to some reports, Spotify pays only about $0.005 per stream. That means only big stars (the likes of Beyoncé and others) can make any meaningful money from the service. But for anyone who thinks that $5 billion+ is a tad rich when it comes to the valuation of a business property like Spotify … remember that Skype was sold to Microsoft for $8.5 billion in 2011, after having been valued at just $2.75 billion two short years before. So maybe the whole thing isn’t so far-fetched after all. Microsoft has finally bitten the bullet and acknowledged the catch-up ball it needs to play in the e-mail space. Last week, Microsoft announced that it’s unveiling a completely revamped version of its Hotmail free online e-mail service. Dubbed “Outlook” in a bid to transfer some of the goodwill from Microsoft’s popular Office email application to the free e-mail space, the successor product to Hotmail incorporates functionalities designed to make it more directly competitive with Google Gmail, which has been growing by leaps and bounds in recent times. You may not realize it from the persistent dearth of industry press coverage about Hotmail, but it’s actually held the rank of the world’s largest online mail service, owning more than a third of the world market share (~325 million users), according to June 2012 reporting from cyber-statistics firm comScore. But Microsoft’s margin over rivals has shrunk considerably, with Gmail hard on its tail at ~31% market share of users and Yahoo holding a similar percentage (~32%). It may be surprising to learn that in the ever-changing digital space … but prior to this revamp Microsoft hadn’t updated any of the features or functionality of Hotmail in nearly a decade. “A lot has changed in the last eight years, and we think it’s time for a fresh look at e-mail,” Chris Jones, a Microsoft exec, stated in a blog post that has to be the understatement of the decade. A clean, uncluttered look – just like Gmail. Tasteful, unobtrusive advertisements appearing in the right column of the screen – just like Gmail. Users can link up with all major social media accounts to view the latest updates from their contacts and friends – just like Gmail. Is this beginning to sound a bit repetitive? But there is one feature that may give Outlook a bit of a leg up on its free online competitors: The service will automatically detect mass messages like sales notices, daily deals, newsletters and social updates and place them in separate folders. Users can customize this functionality to sort incoming e-mail any way they wish. I haven’t used Hotmail in the past … although I might be tempted to consider Outlook now that these newest innovations have been added. But the long-term success of Outlook – and any free e-mail platform – is going to be how effectively they can connect various online assets together to provide “one-stop convenience” for users. One thing’s certain: There’s no way Microsoft can let another eight years go by before making more enhancements to its free e-mail service offering, considering the always-aggressive posture of Google and its Olympian competitive spirit. Revenge of the Nerds: Microsoft will make “Do Not Track” the Default Setting for IE 10. Is it just me, or has Microsoft seemed to be the quiet wallflower in recent months? Meanwhile, Facebook and Google have been getting all the attention – good and bad. But now, here comes this announcement: Microsoft will make the “do not track” feature in the next version of its Internet Explorer browser the “default” option when it ships. This move poses a threat to the efforts of online advertising giants – including arch-rival Google – to track browsing behaviors and serve up relevant advertising – you know, the high-priced kind. Could it be that Microsoft is doing a Monty Python “I fart in your general direction” number on Google? And how does this move affect the evolving privacy standards in the online realm? It should be remembered that the “do not track” feature doesn’t actually block tracking cookies. But it does send a message to every website visited, stating the preference not to track. It’s a request, not a command, but more sites are now honoring the request. Including, importantly, Twitter … which announced in May that it would embrace the emerging privacy standard. The Federal Trade Commission also backs the new privacy standard, even as the agency has become more hostile to the online advertising industry’s tracking practices. In fact, the FTC has been threatening to advocate for privacy legislation. Indeed, online advertisers are now walking a fine line in all of this. Ostensibly, they’re supporting privacy policies … but the ones they’re advocating aren’t too onerous on their ability to collect behavioral data. What’s most concerning to advertisers is the possibility that they may eventually need to change the way they build profiles of users in order to sell premium-priced targeted ads. That’s a nightmare scenario they’re attempting to avoid at all costs. In this environment, how much of a threat is Microsoft’s move? Potentially big, since it’s likely that ~25% or more of web users will upgrade to the IE 10 product over time – with all of them having the “do not track” feature “on” by default. Microsoft claims that it’s making the change “to better protect user privacy.” That seems logical on its face – and in keeping with Microsoft’s recent moves to incorporate privacy technologies in its browser products. But one has to wonder if it’s also one of those “nyah” moments directed squarely at Google. Because as we all know, there’s absolutely no love lost between these two behemoths.